If you're looking to get more bang and spend less bucks, then this top is the answer you've been waiting for. 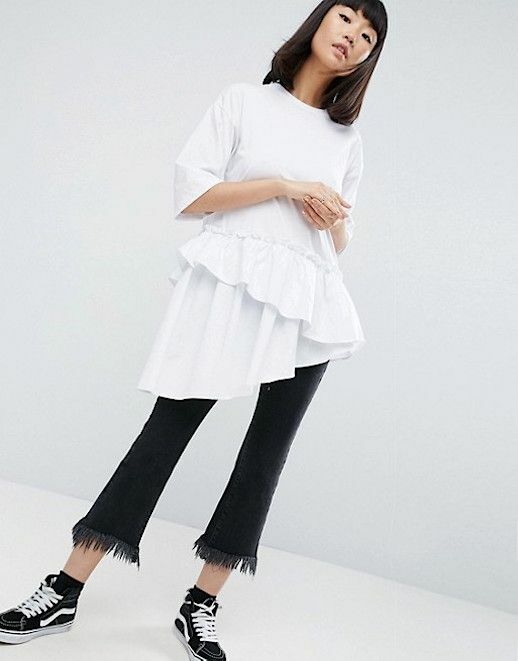 This frilly t-shirt is modern in construction but feminine and flirty in its layered hem. Pair it with raw-hem trousers or a pair of skinny jeans for the ultimate weekend look.